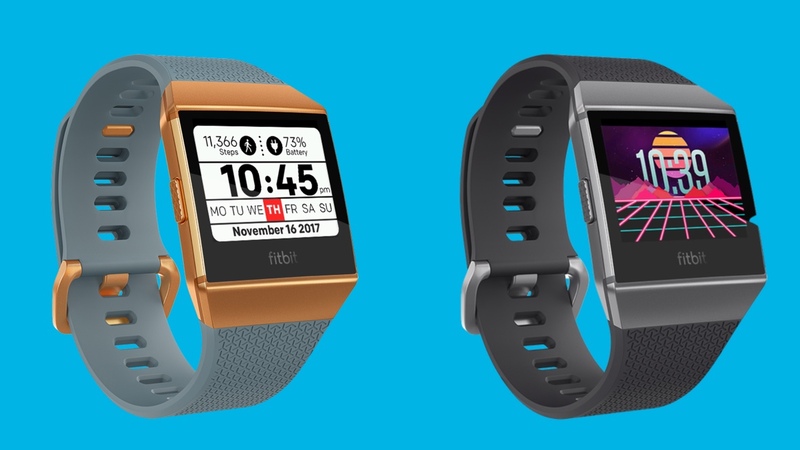 The Fitbit Ionic didn't launch with many watch faces but a recent update has unleashed tonnes of new ones to pick from, some of which have been designed by Fitbit, some by third-party developers. All you need to do to access over 100 new faces is head to the Fitbit companion app in your smartphone and hit Clock Faces. Once you've installed one you like the look of, your Ionic will quickly reset before showing you the new face. It's as simple as that. But with so many to choose from, picking a face which can help you gain a glanceable insight into your activity while still looking the part is no easy endeavor. That's why below we've rounded up our pick of the best Fitbit Ionic watch faces for you to explore. Oh, and all but one of them are completely free. Remember the Tamagotchi? Course you do, it was the biggest responsibility of your childhood - and now you can relive those glory days with Fitbit's smartwatch pet. Essentially, the more steps you take, the happier ol' Timmy over here is. And if you fail to walk enough and provide him with at least eight treats (one treat is gained every 10% of your step goal you complete), he won't stick around for long. Man's best friend, indeed. It may be called Nothing Special, but this option still gives you pretty much everything you need in one glance. There are no animations, with simply the time, date and day of the week presented in black and white. However, you can switch up the top two panels to show you the device's battery percentage, the weather, your steps, heart rate, distance, calories, floors climbed or active minutes. Sleek by name, sleek by nature, and certainly one for those looking to maintain a semblance of tradition in their timekeeping. This minimalist, analogue face provides you with simply the time, date and a fitness metric of your choice. Shame you can't customize the colors, but the black does help it blend into the rest of the Ionic's face. At last, a watch face Nicolas Winding Refn would approve of. This moving face has you speeding towards the horizon Tron-style, and isn't one you'll want to stare at for too long, but nicely shows off the potential of animated faces on the Ionic. You can also tap to scroll through different metrics. If your sole purpose every day is to complete more steps than your loved ones, StepVerse is our recommendation. The clock shows you how much activity your friends have done with colored lines around the outside of the face - and how you're doing in the race to be the best. This is the only face that costs money - $0.99 to unlock it - but you can trial it for 24 hours for free. A perfect option for frequent travelers or those who need frequent reminders of the time in another part of the world, this face lets you pick up from up to 35 different times. Through the Fitbit app, you can customize the color of everything from the background to the digits, while also selecting what time zones you want to track. Ok yeah we know, it's a near-identical copy of the Apple Watch 'Color' face, but we love how elegant it looks. You get four complications around the face for different health stats, and you can change your color theme too. It's one of the classiest options on the store right now, that's for sure. We like this one because it makes the screen really pop, but it also serves as an easy-to-glance dashboard of your essentials: time, date, step count and heart rate. It's simple but beautifully design, with four color themes to pick from. Renounce the modern age of technology - using modern technology. This one puts a classic Casio watch face on the Ionic, so you can the retro aesthetic at no sacrifice to your daily health tracking.